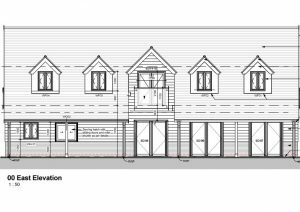 This prestigious new pavilion and clubhouse is a scheme that was procured via a competitive Design & Build tender process and will satisfy one of the Section 106 requirements of David Wilson’s large residential development at Great Denham, south of Bedford. S.A.C. will lead the construction of this accommodation over two storeys. The construction includes traditional strip footings and a mix of beam & block as well as traditional timber on the first floor. CHP heating and UPVC windows, extensive car parking and a multi-use games area. The 39-week building period allows time to complete all of this as well as external landscaping. The building itself will provide an entrance foyer as well as a kitchen & café on the ground floor. The first floor will feature a three-bed ranger’s flat, in addition to this the building will hold a ranger’s office, equipment, stores and a cleaner’s room. As well as toilet and shower cubicles, there are separate male and female changing rooms. Other features include Juliette balconies, a solar tube, bin and cycle stores, as well as a plant room- giving the building a respectable amount of qualities. 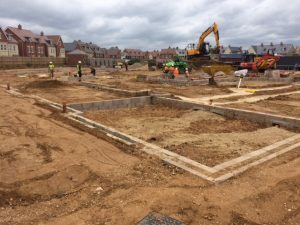 We have commenced on site building this three storey residential care home for Biggleswade Care Home Developments Ltd after an extended period of discussions with the local council. 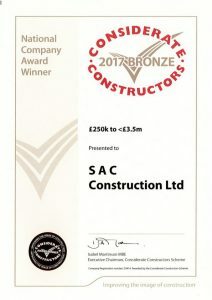 The client’s decision to procure this building via a negotiated design & build route allowed S.A.C. to contribute with “Buildability” and financial issues, most notably the addition of three extra bedrooms within the original building footprint. 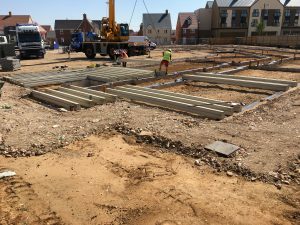 When completed in 2018 the home will provide 65 ensuite bedrooms and various communal facilities accessed through a Hotel Style reception area. This prestigious project for The Bedford School involves two distinct phases on different locations in central Bedford and was won via a competitive tender route. 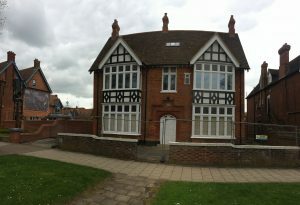 The refurbishment and conversion of the ground floor of 41 De Parys Avenue into modern classrooms. The property, a large Victorian house, has most recently been used as a hotel before being purchased by the school. The works will involve preparations for the future conversion of the first floor into classrooms for the school. A fast track programme of extension and alterations to the entrance of the Art Department on the school’s main campus. Works include a new entrance gallery and associated internal reconfigurations to the existing entrance. The works at 41 De Parys Avenue commenced very shortly after S.A.C. was awarded the contract and this phase will be completed before the summer recess when phase two, the works to the Art Department, can commence. The programme is for the newly extended and altered department to be ready for the students upon their return to school in the autumn.